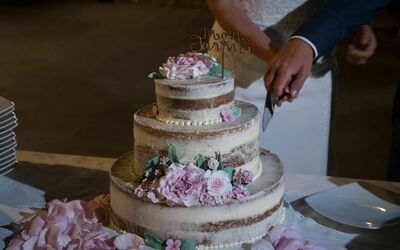 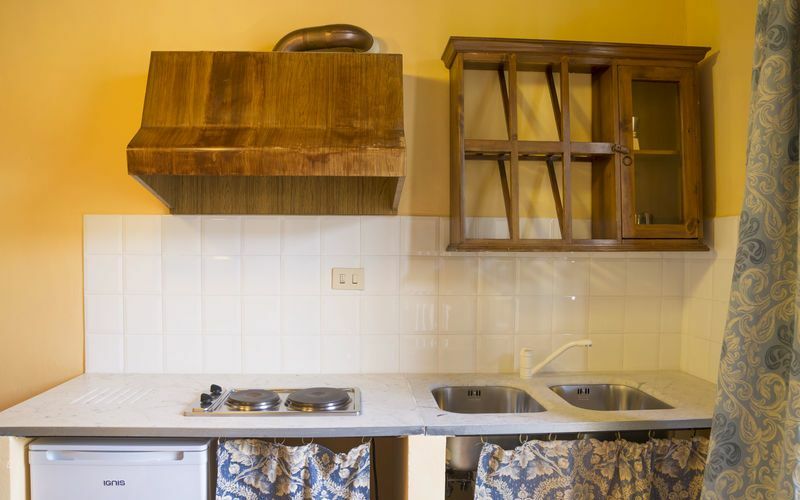 Rezervujte svoji dovolenou na dobu od 30 březen 2019 do 07 červen 2019 a uřetřete 15 % (minimum 2 nocí). 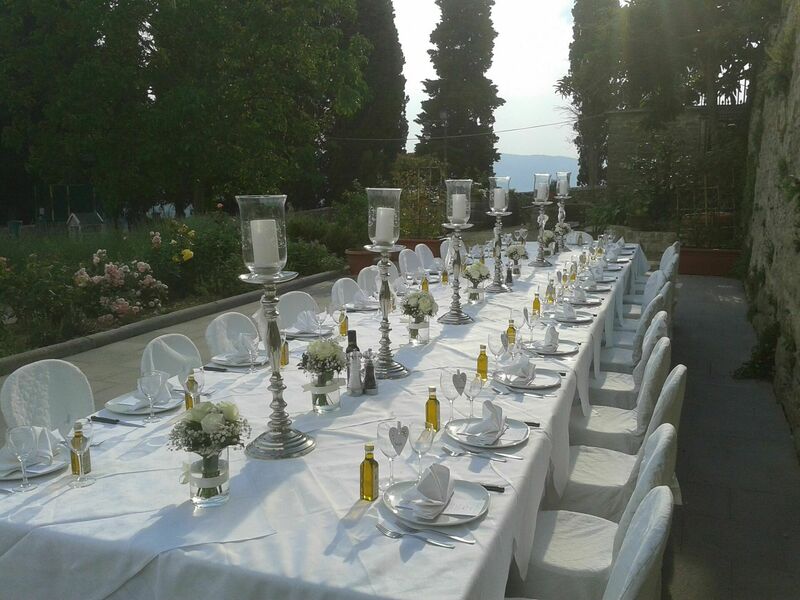 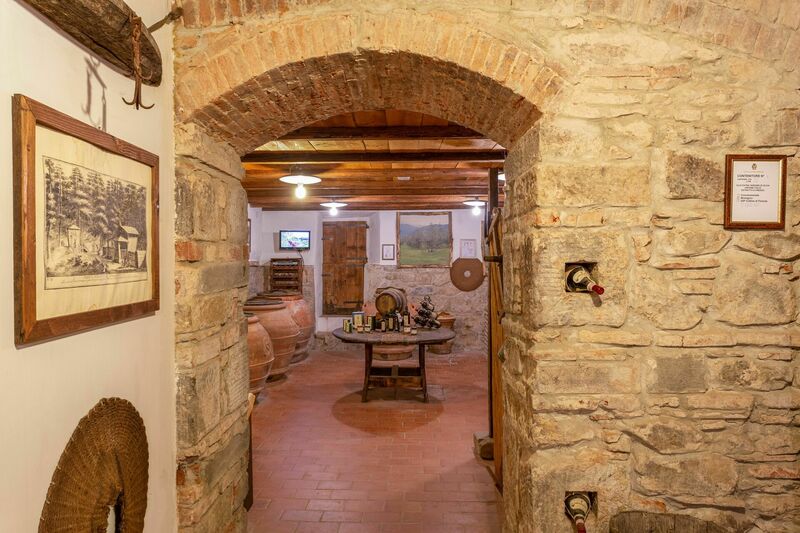 Villa Grassina respects all the traditions of a farm holiday. 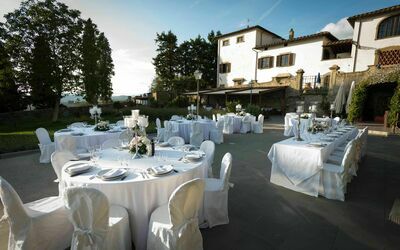 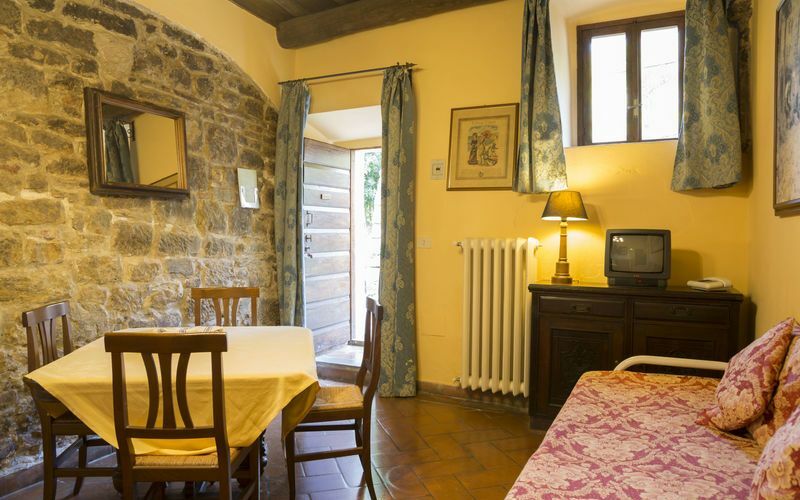 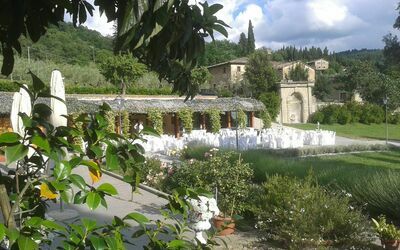 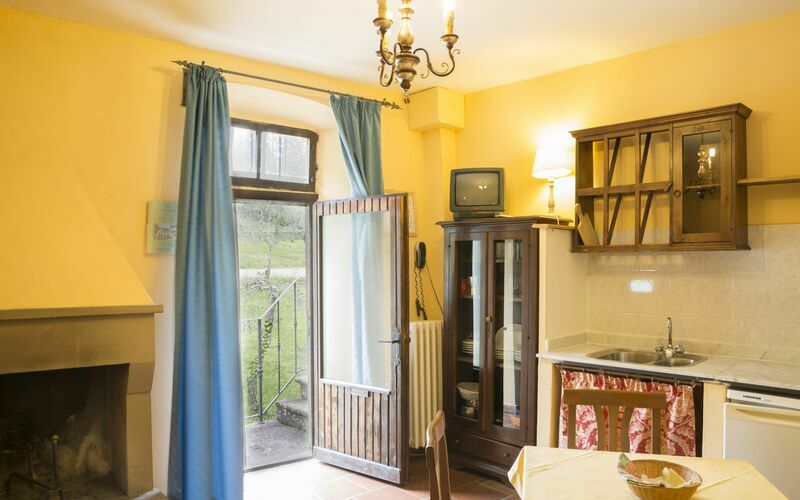 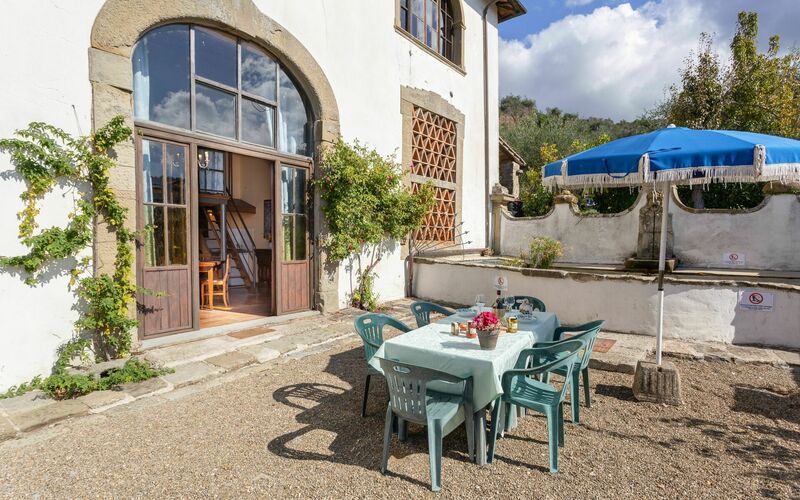 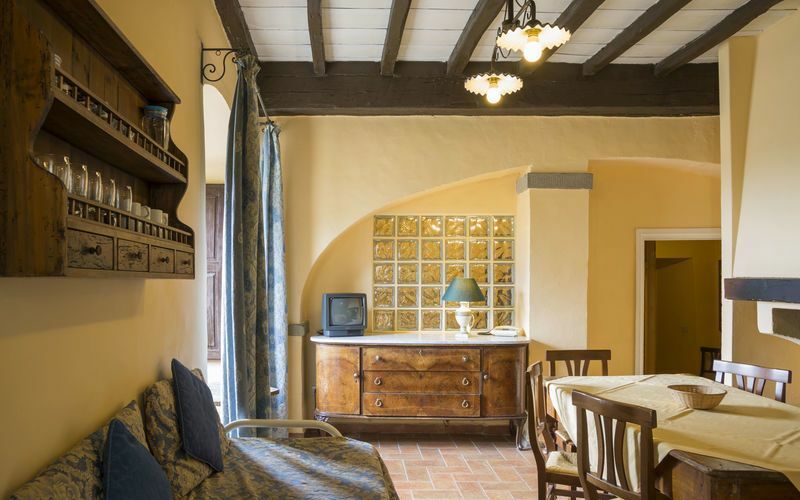 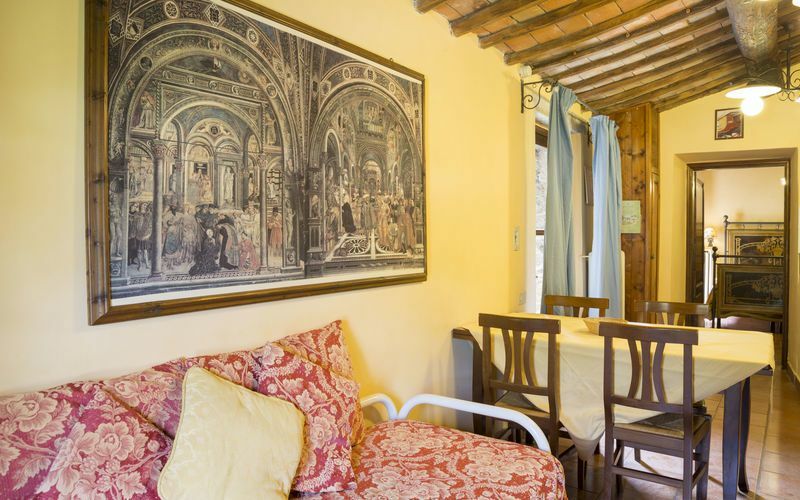 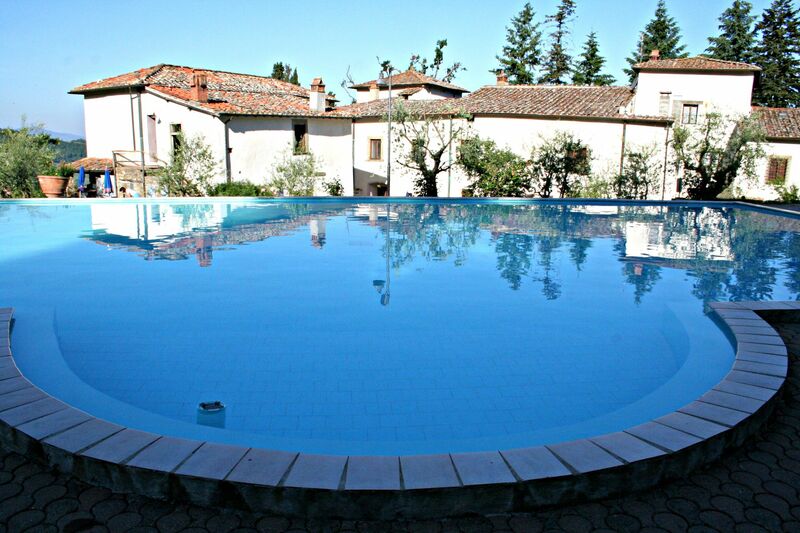 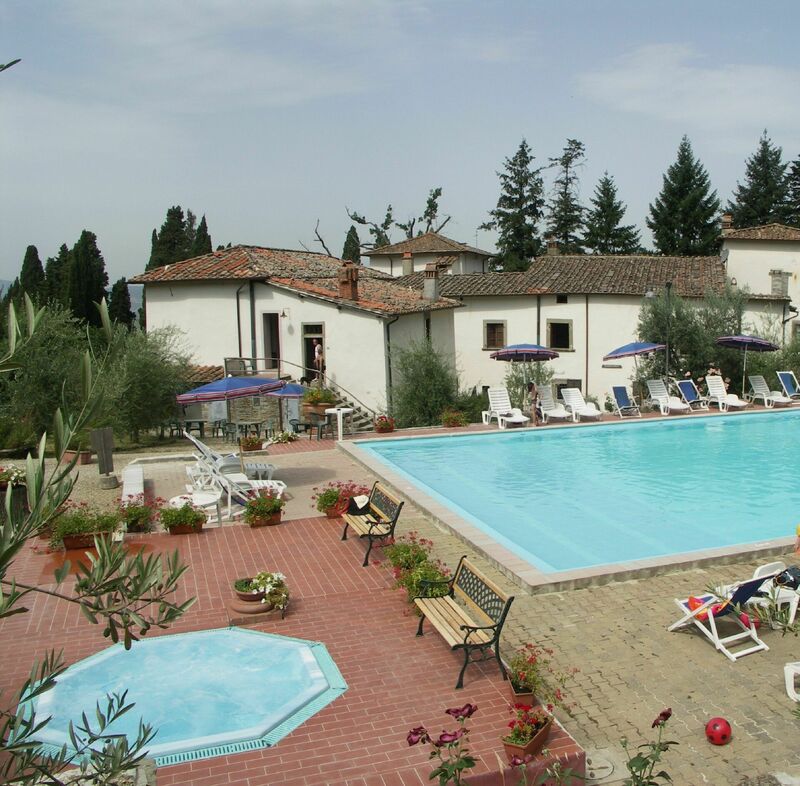 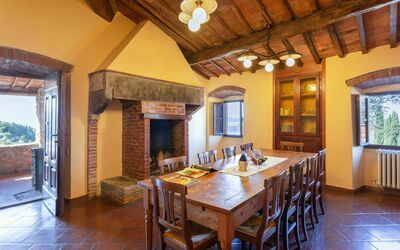 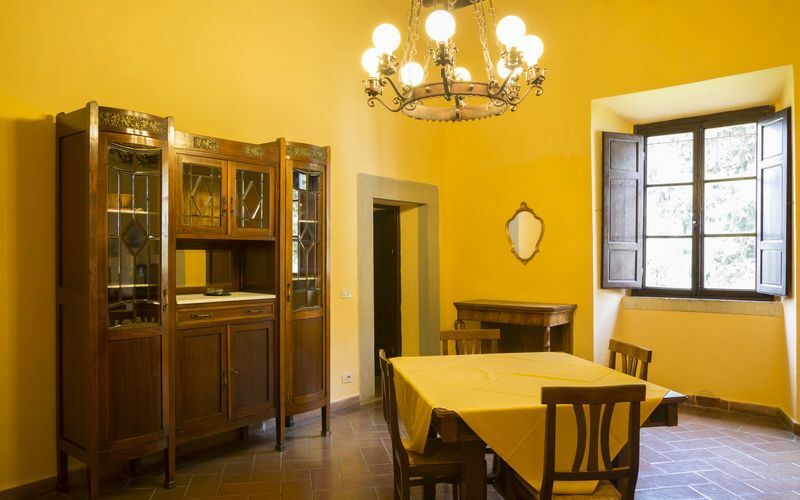 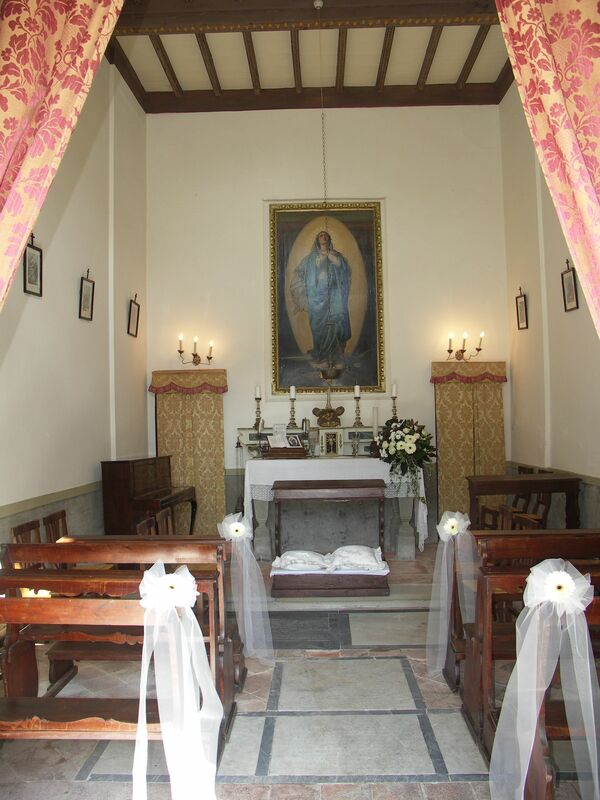 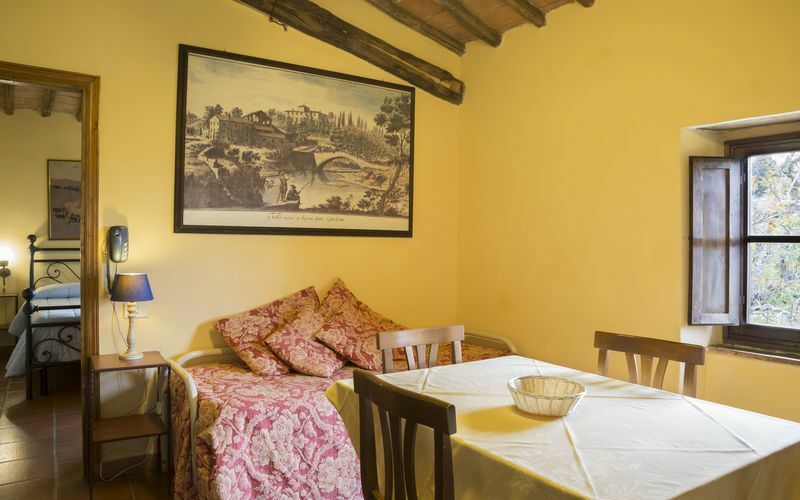 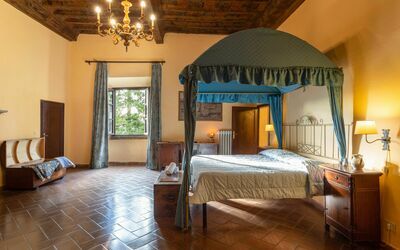 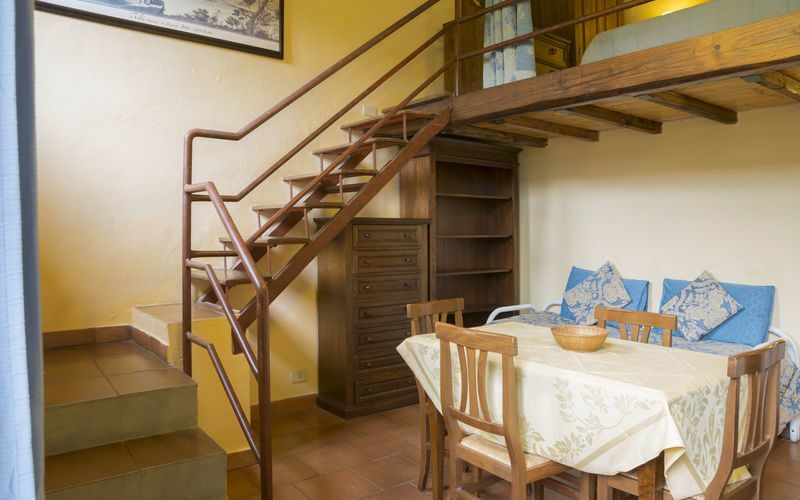 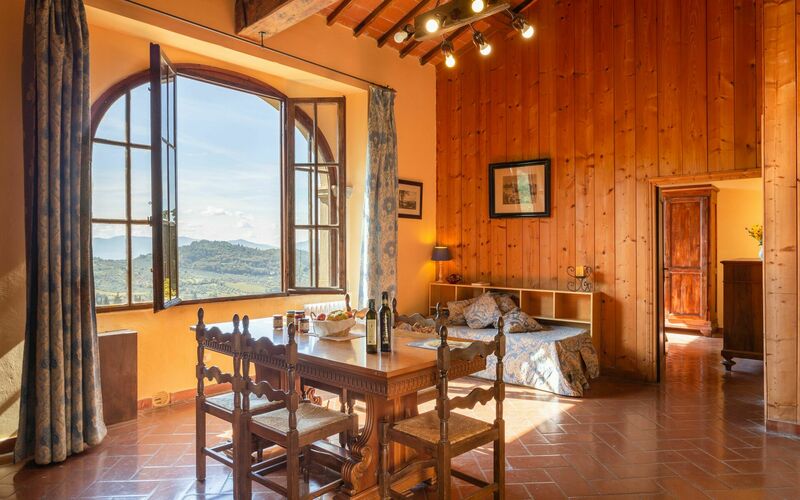 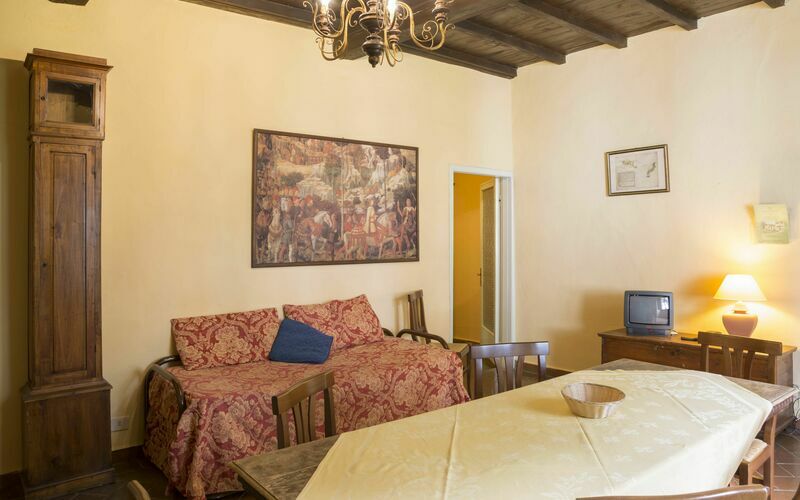 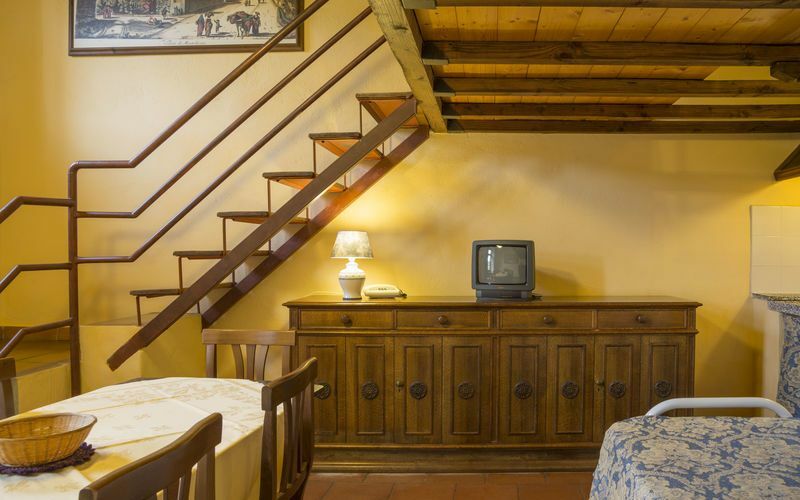 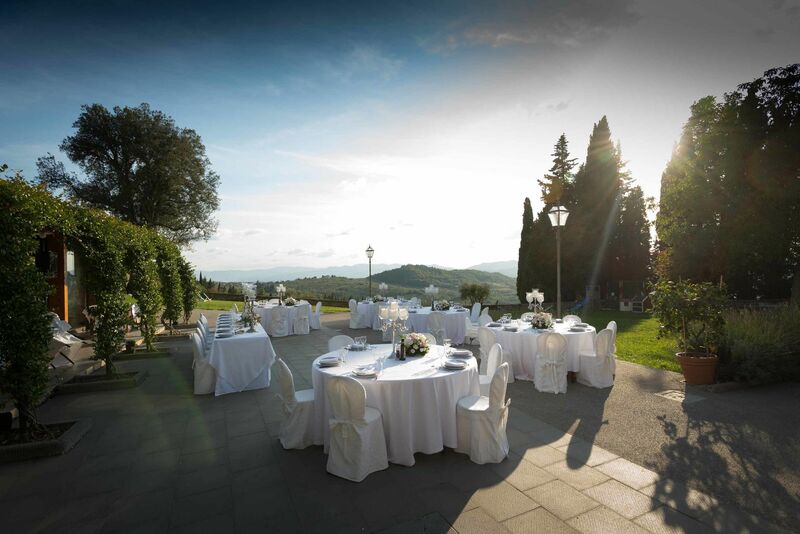 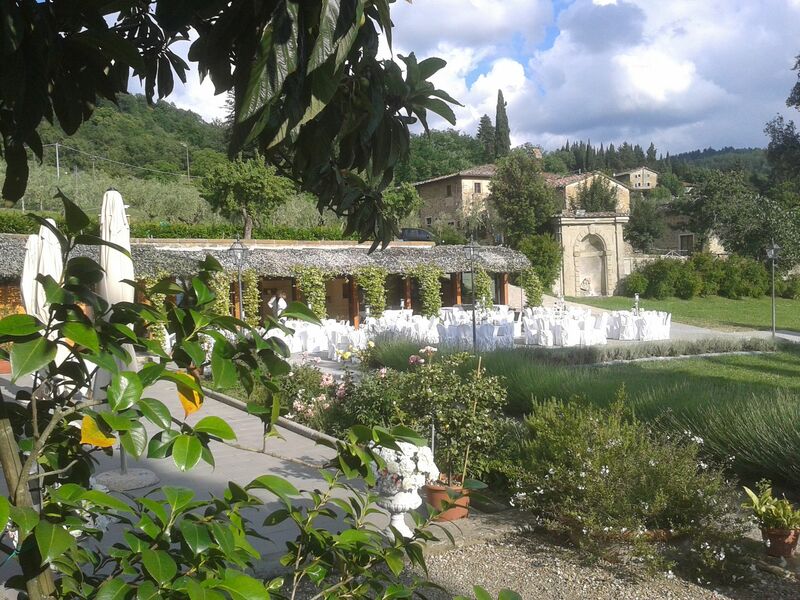 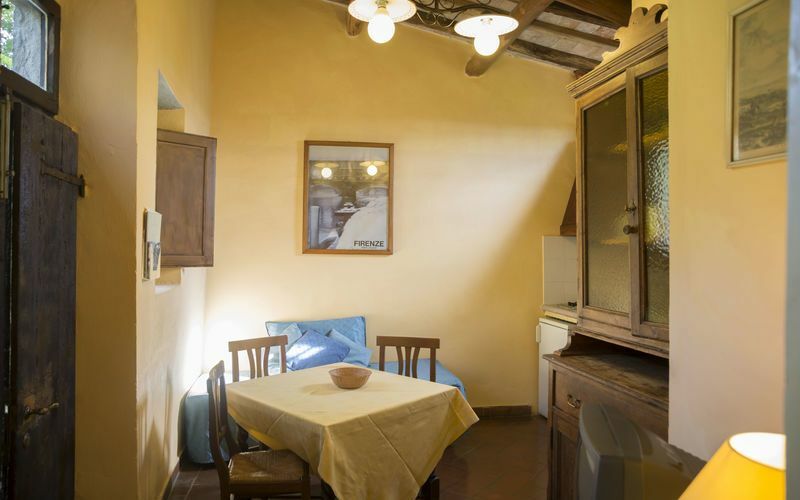 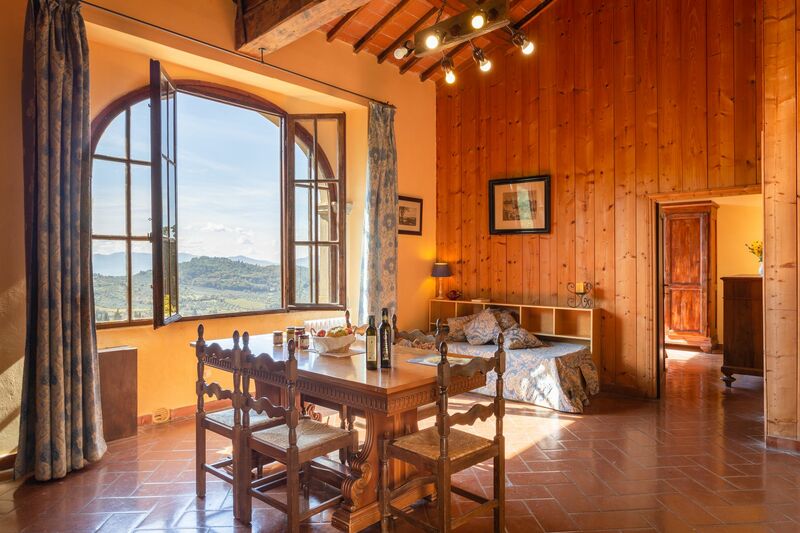 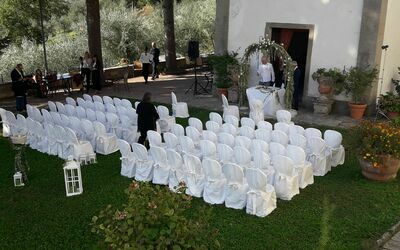 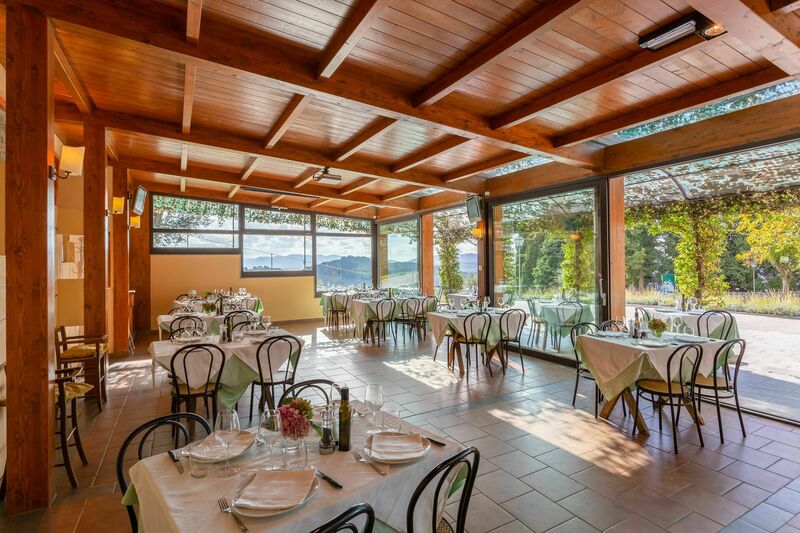 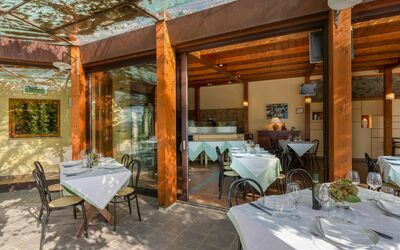 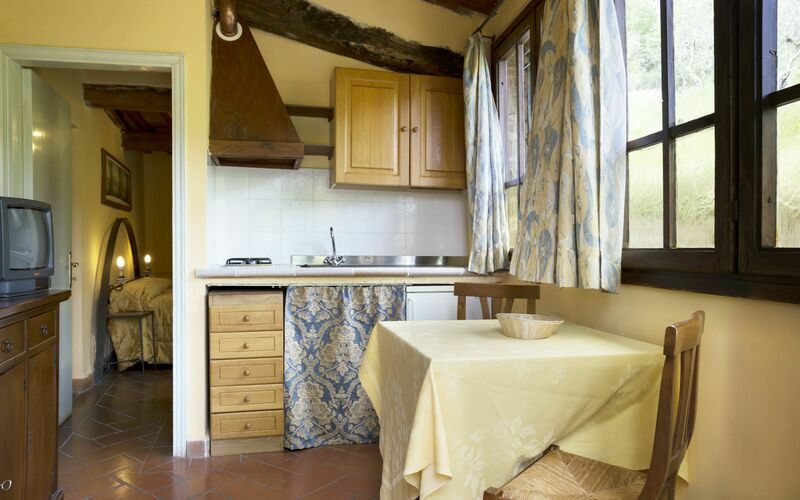 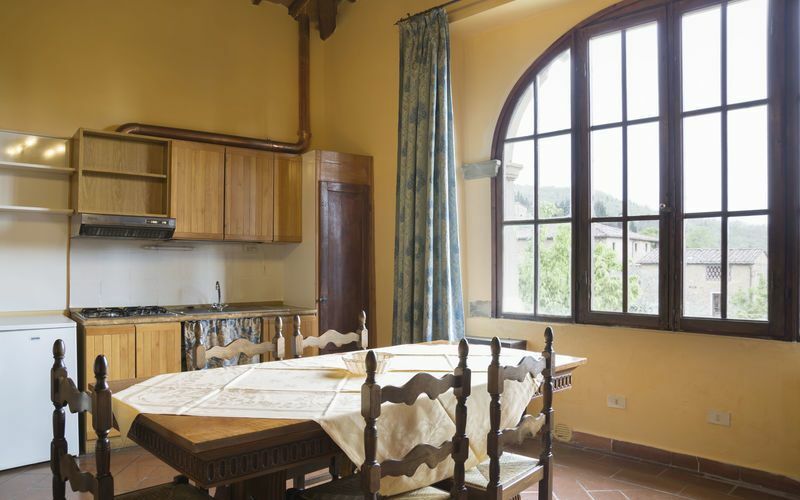 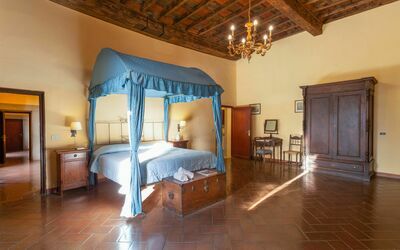 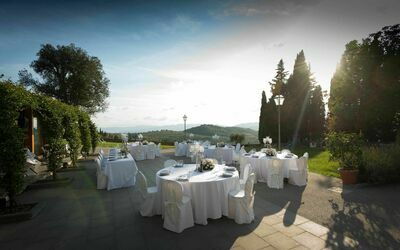 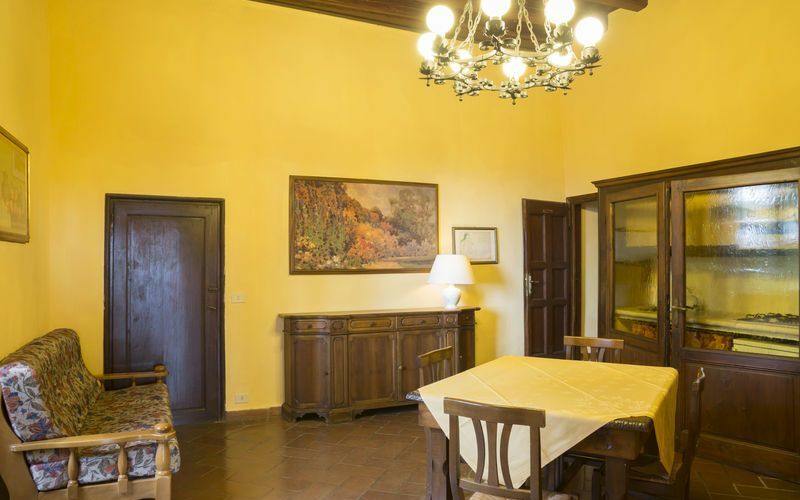 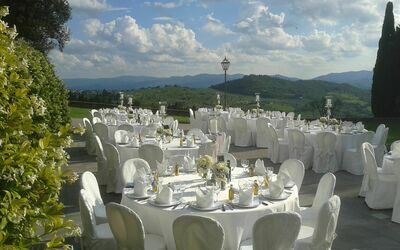 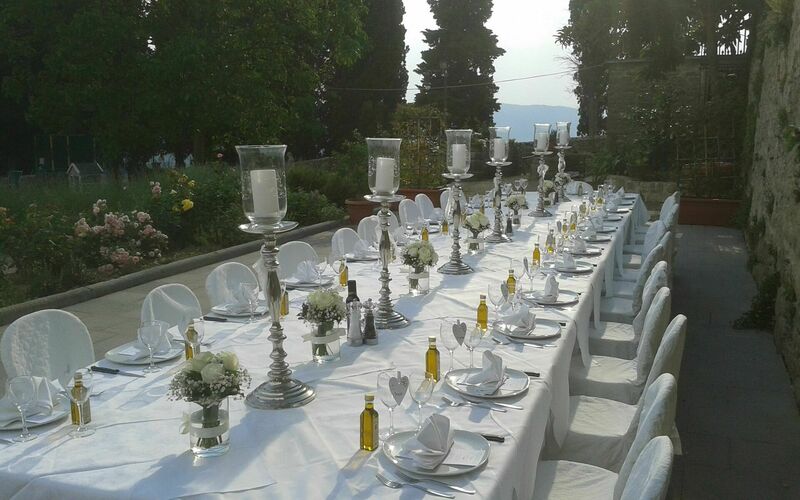 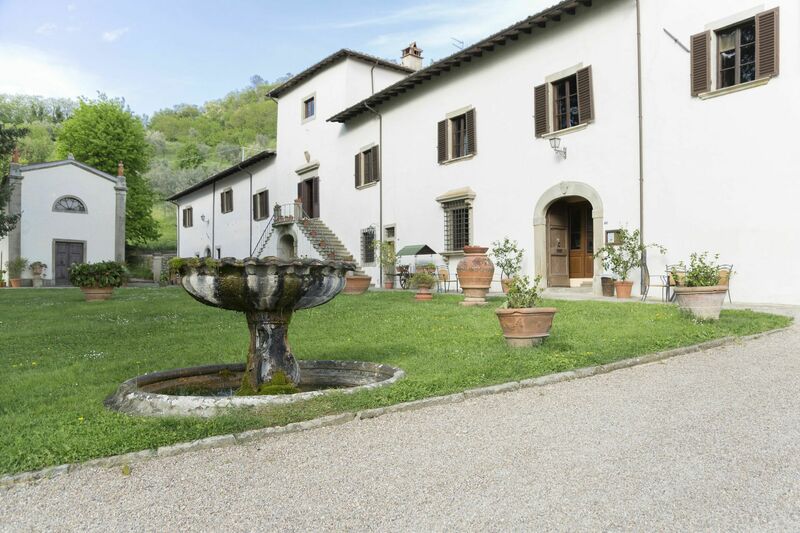 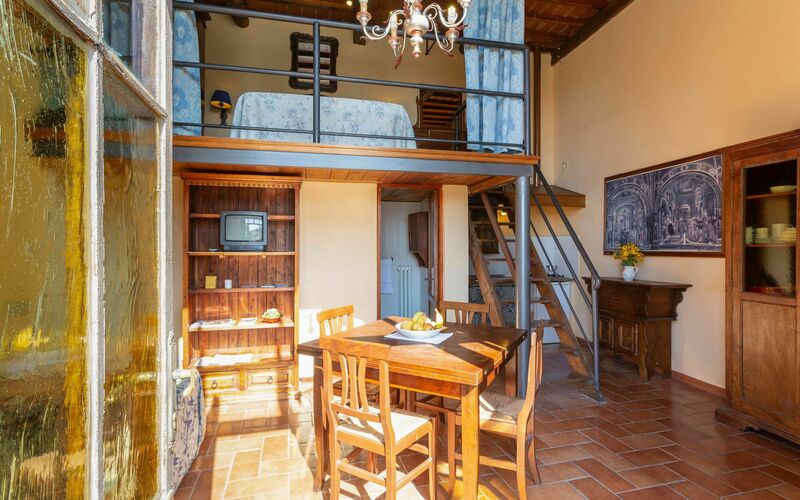 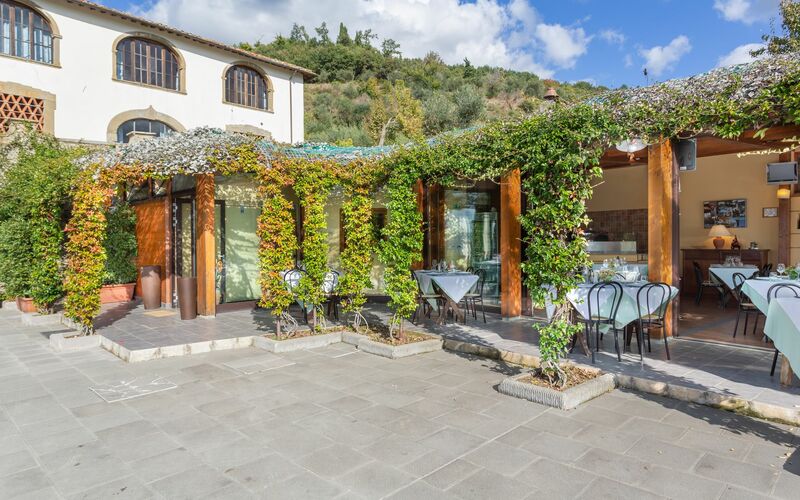 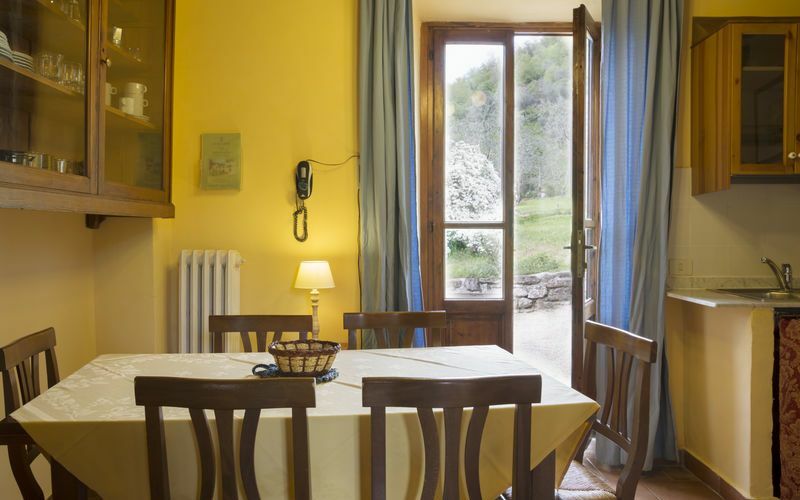 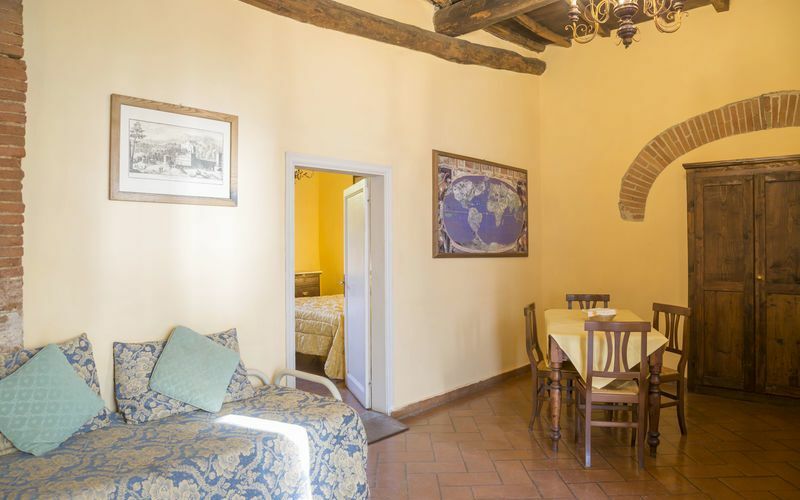 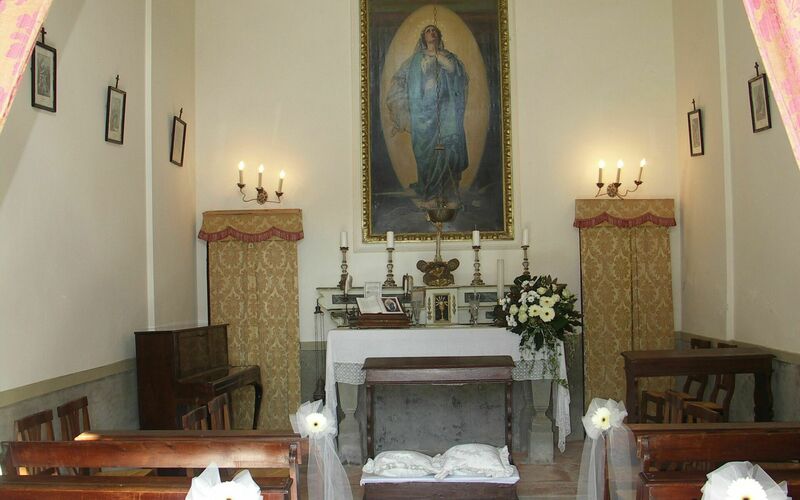 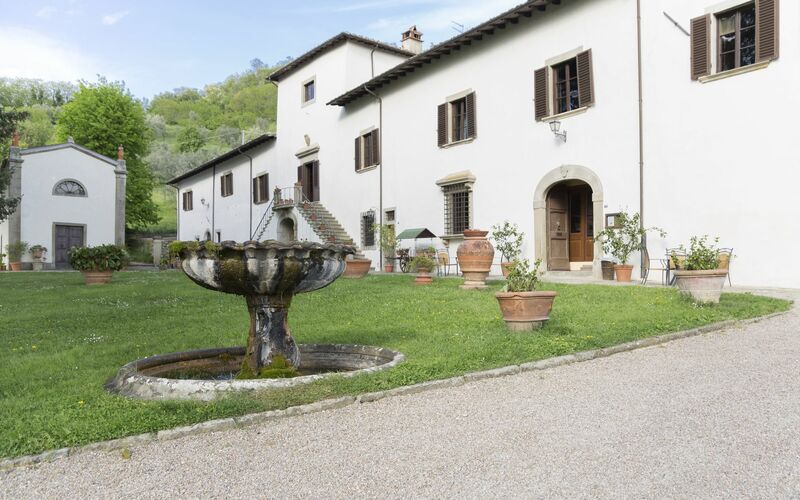 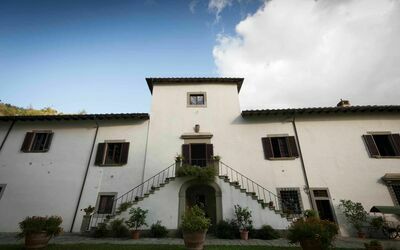 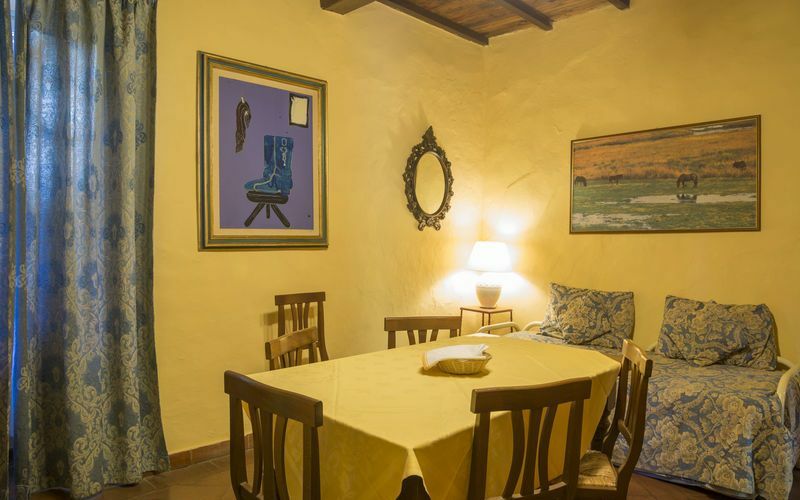 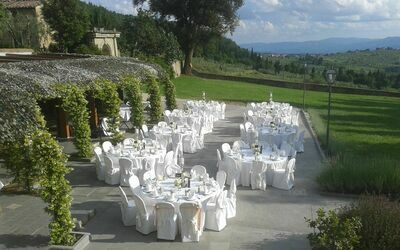 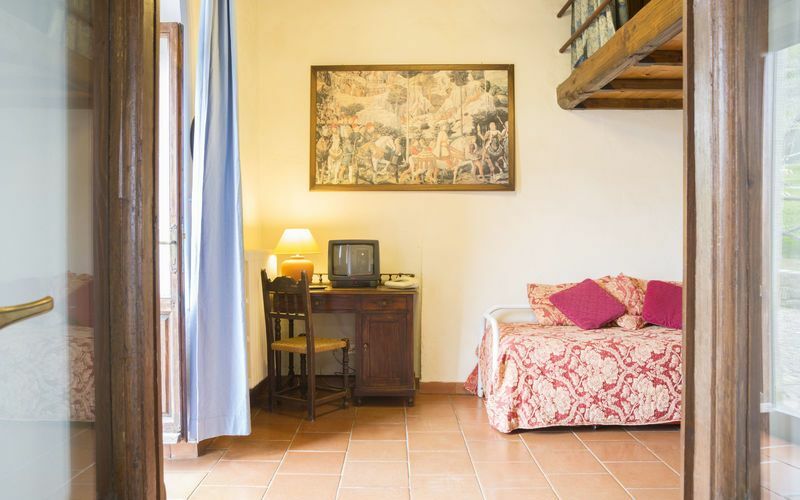 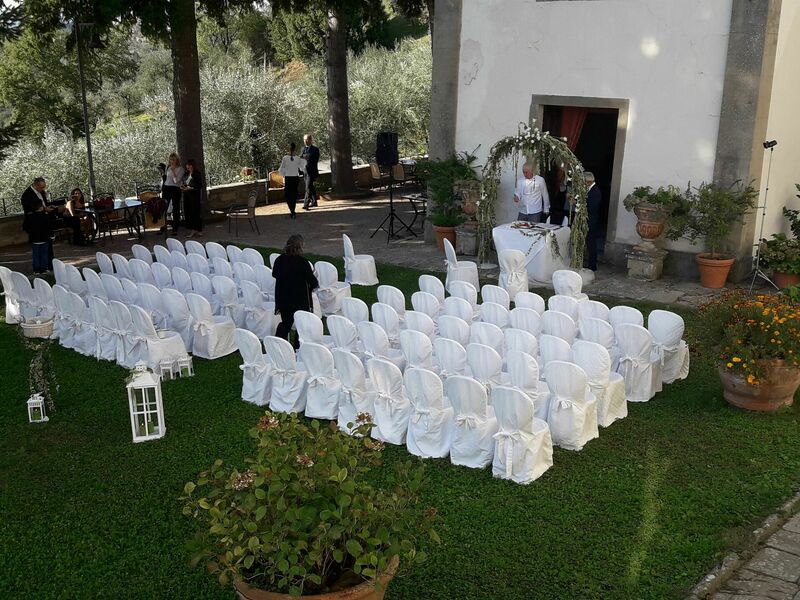 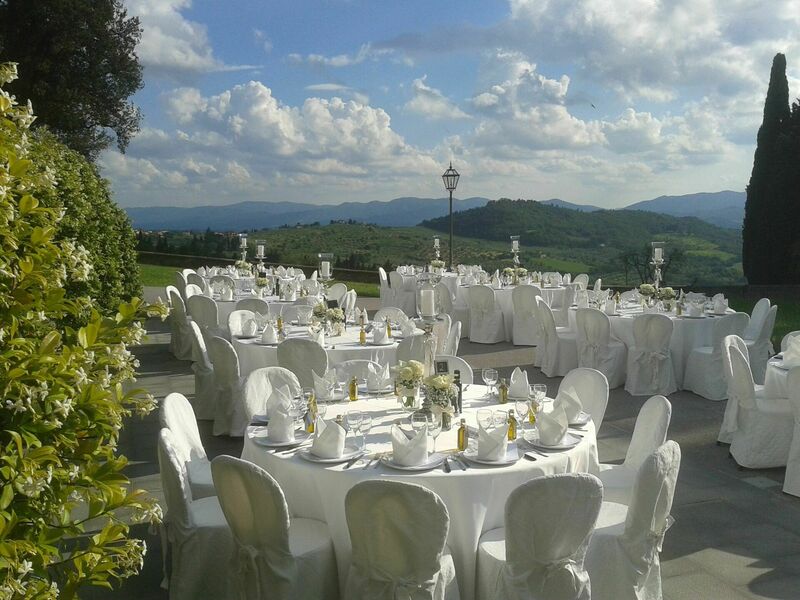 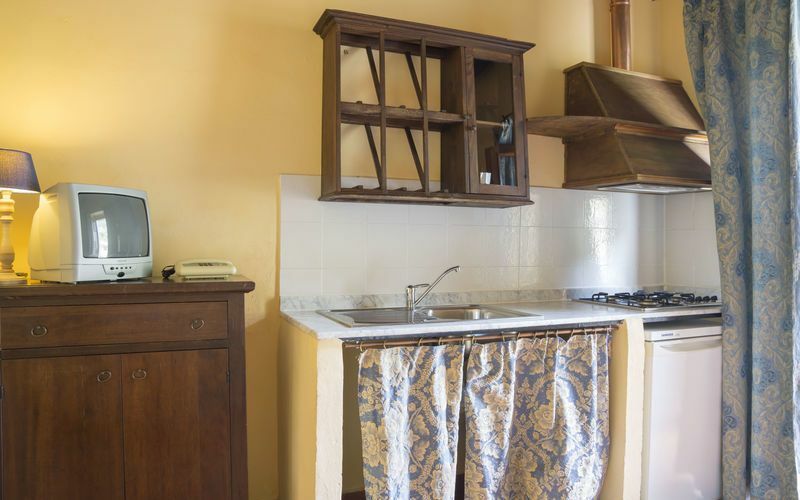 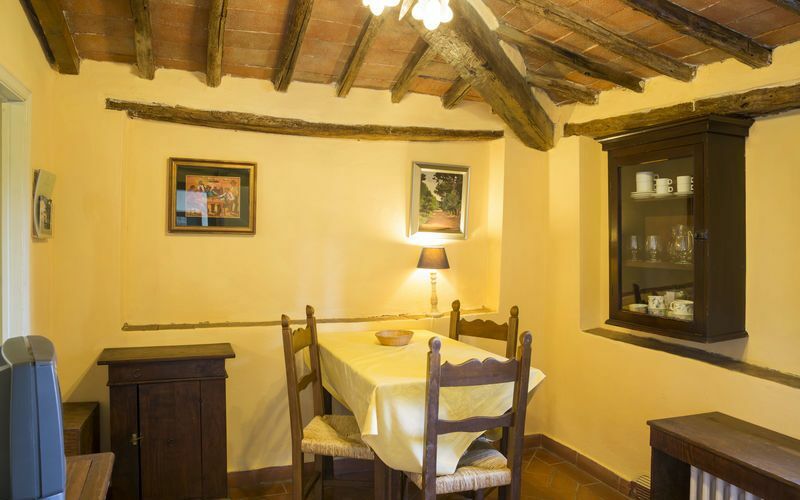 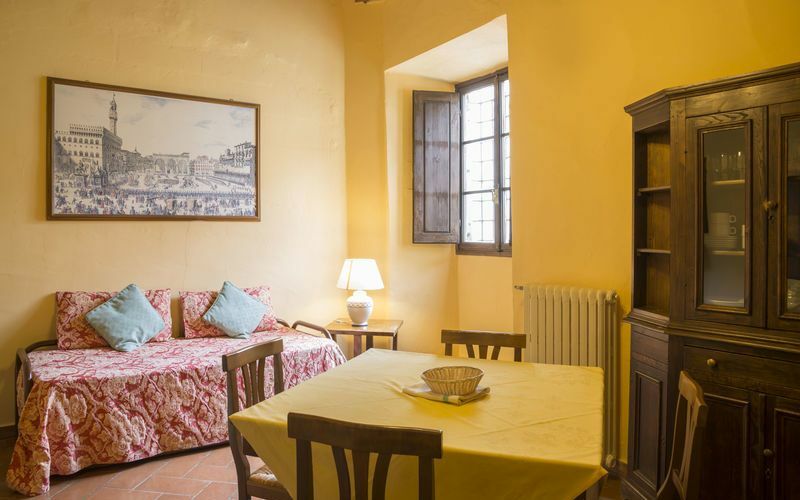 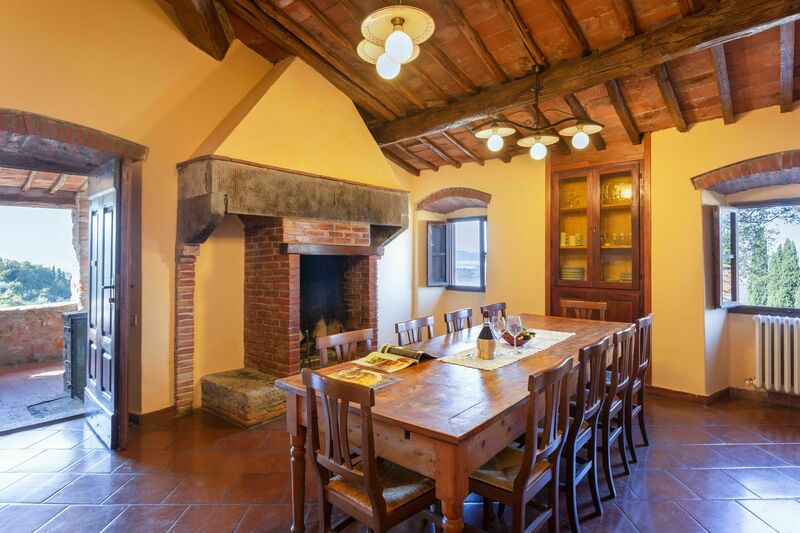 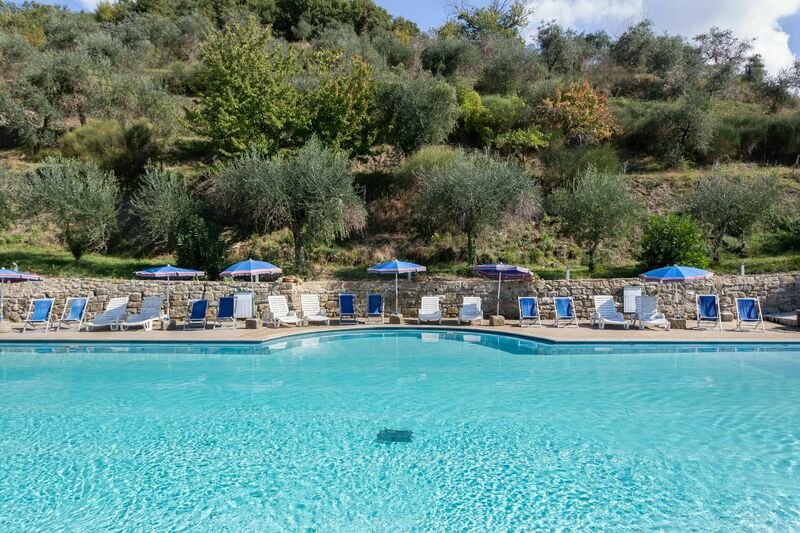 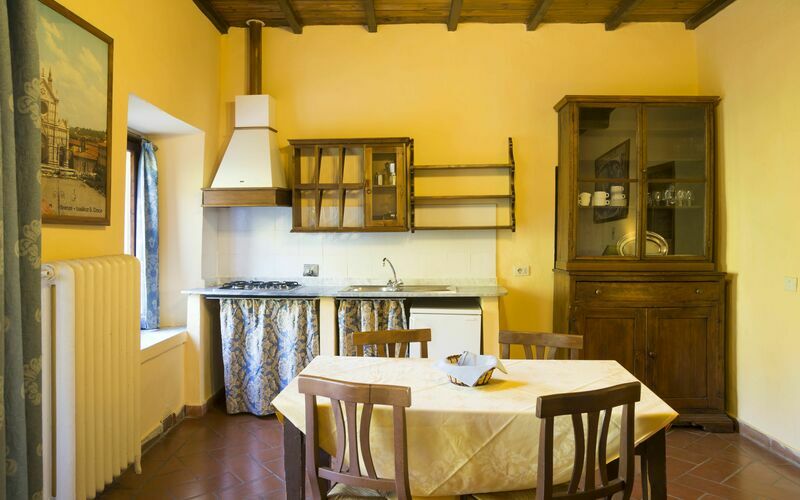 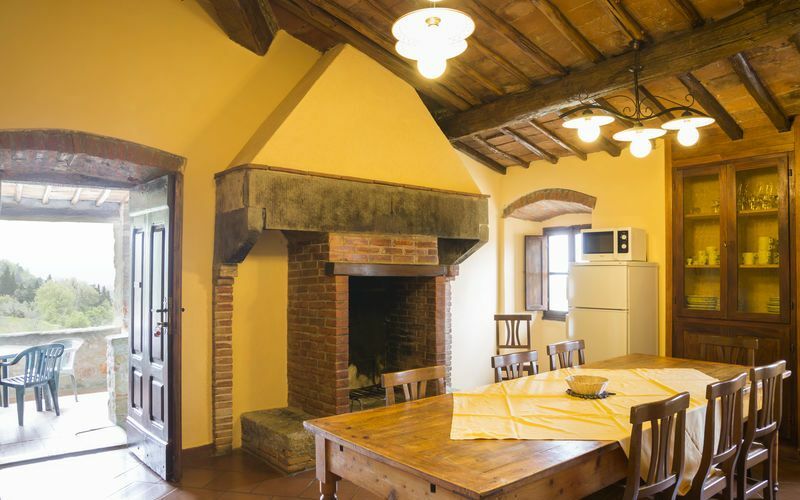 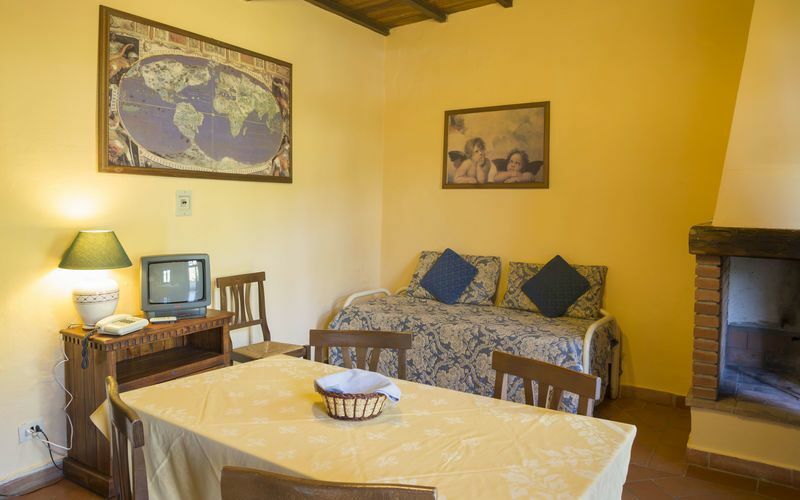 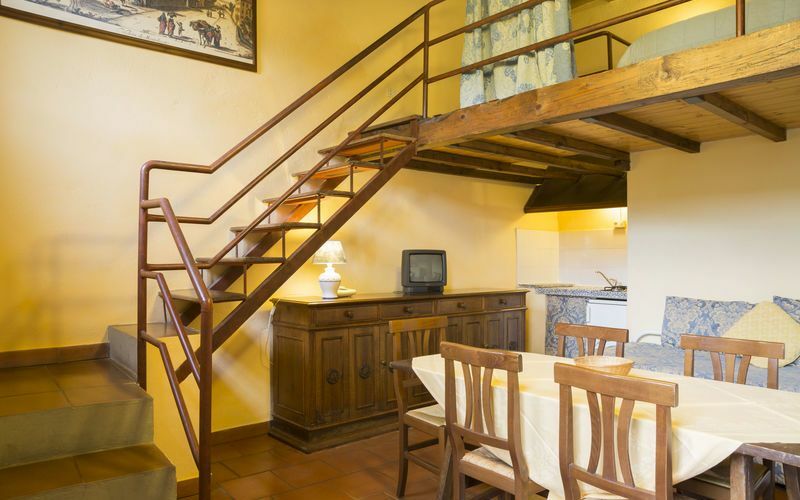 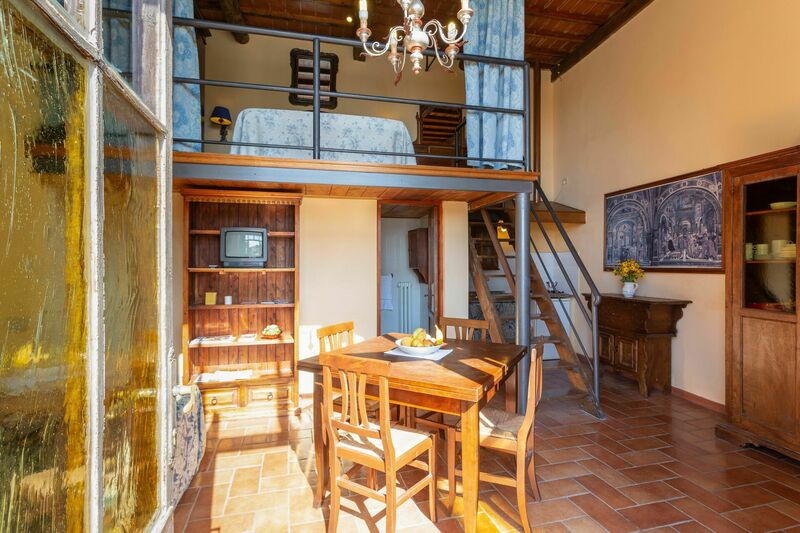 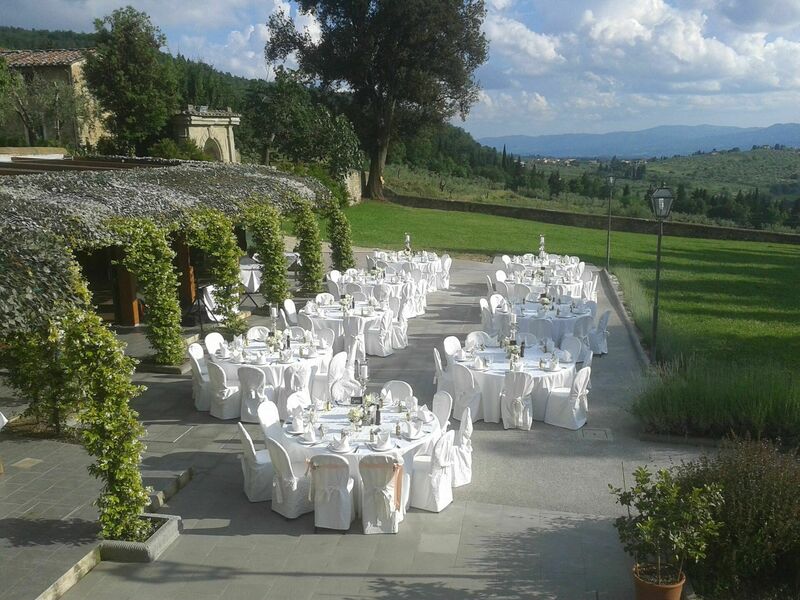 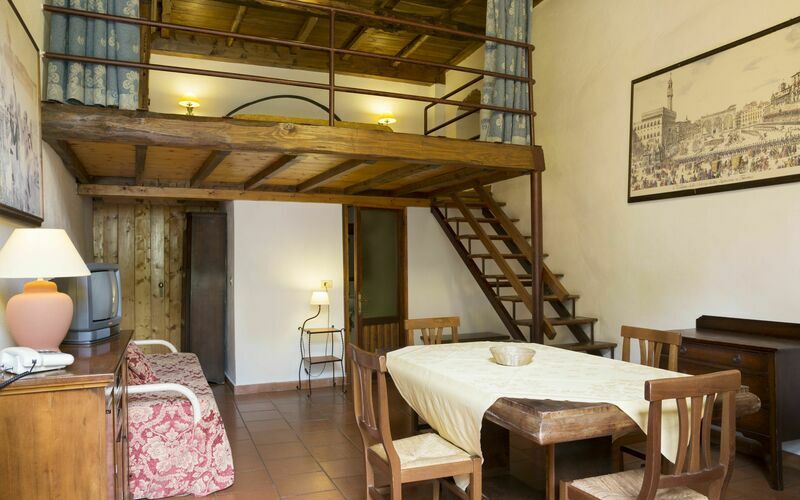 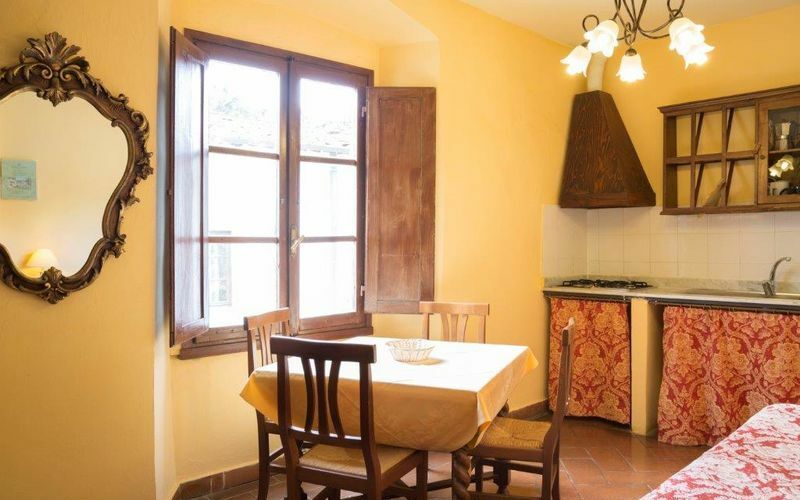 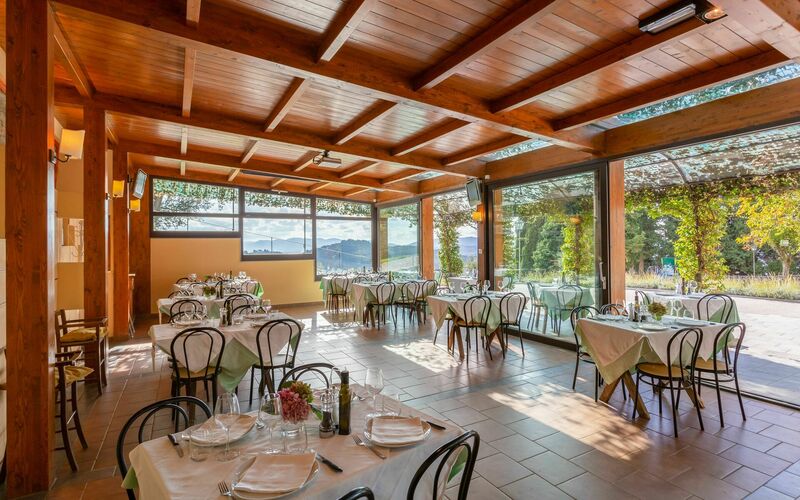 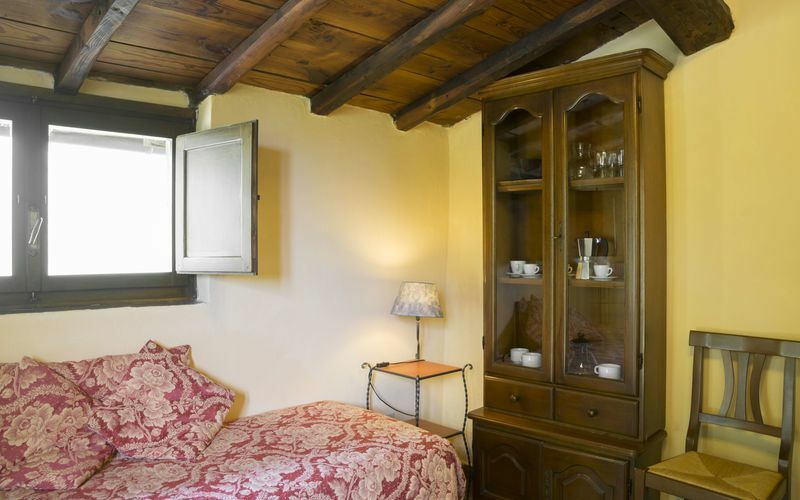 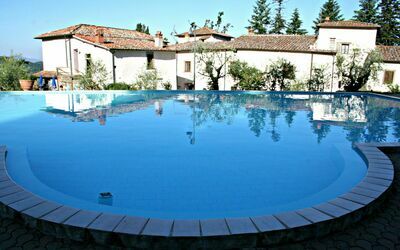 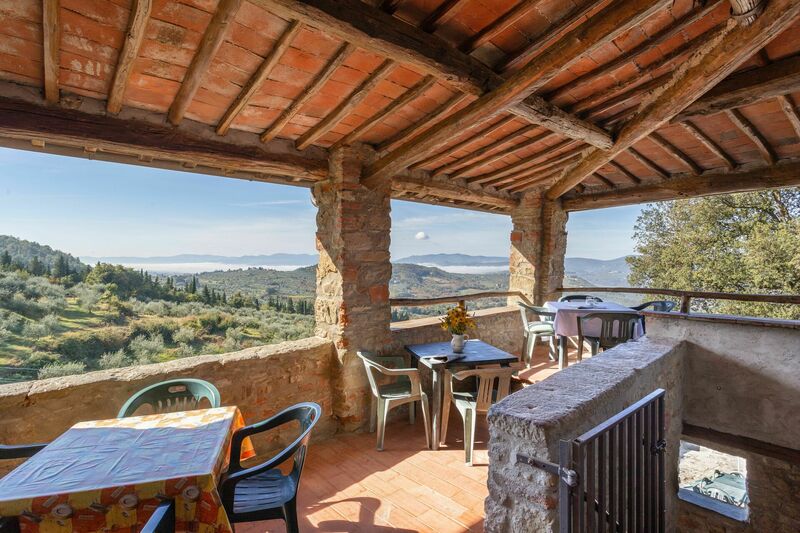 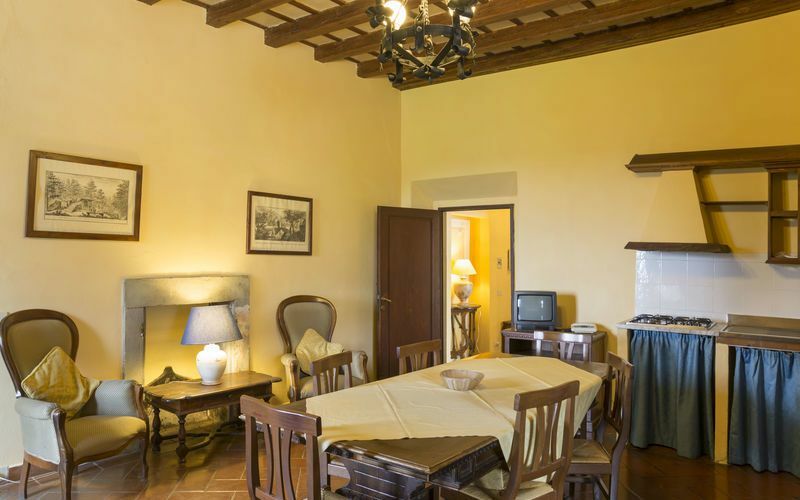 It is an elegant country residence nestled in the rolling hills near Florence, in the heart of the Chianti countryside. 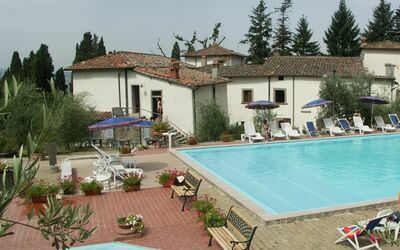 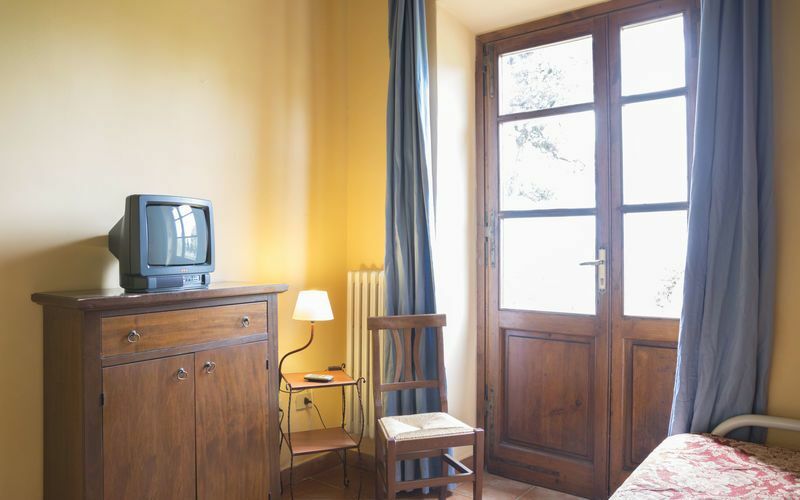 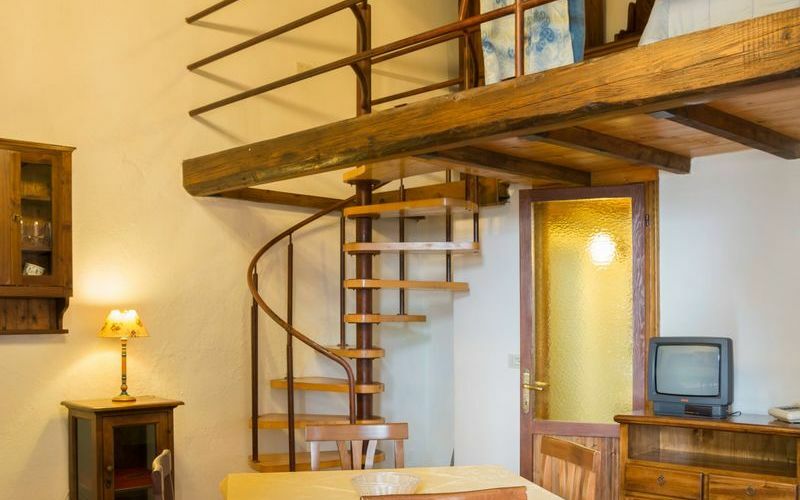 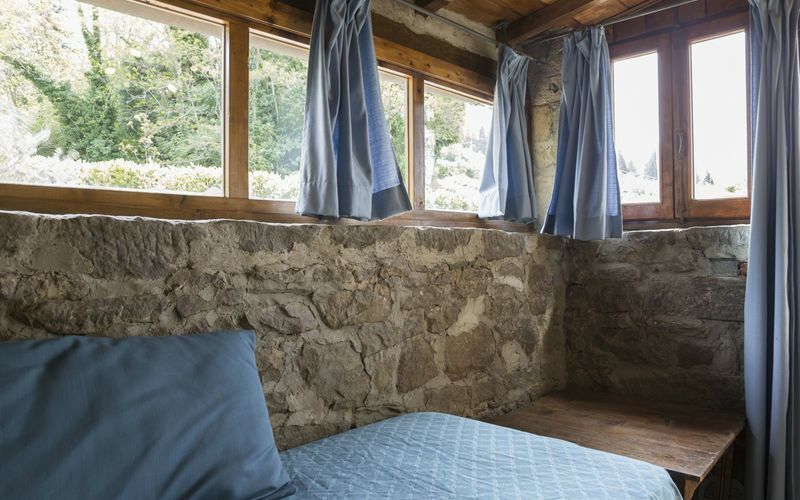 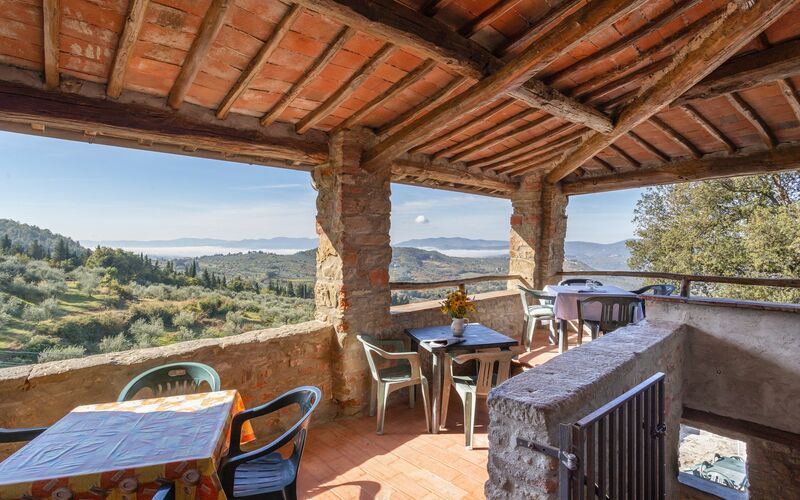 It is a perfect base for a holiday immersed amongst olive groves, vineyards and woods and borders on to the Casentino National Park. During the stay will be a pleasure to know all aspects of Tuscan territory, such as the culture, it's cities and it's great culinary tradition. 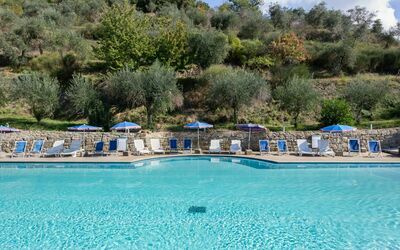 It is easy to forget the stress of everyday life, thanks to our large swimming pool, tennis court, table tennis and for the younger members there is a children's play area, guaranteeing enjoyment for all the family. 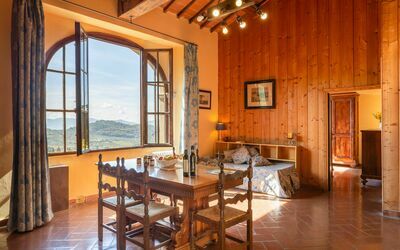 For nature lovers, there are many marked routes through the olive groves, age old chestnut woods and pine forests typical of this area, either on foot, mountain bike or horse-back. 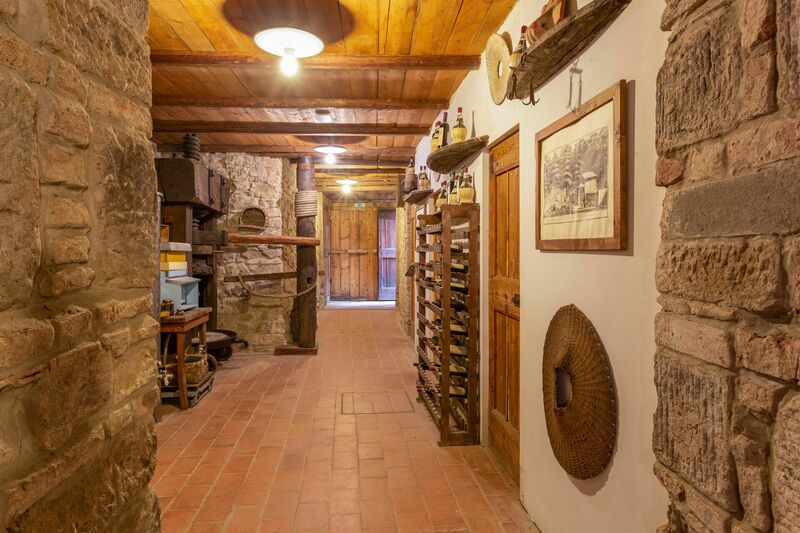 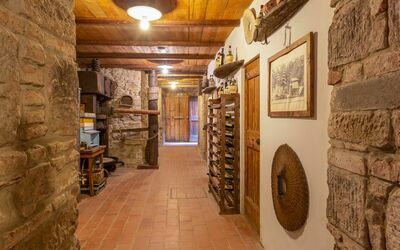 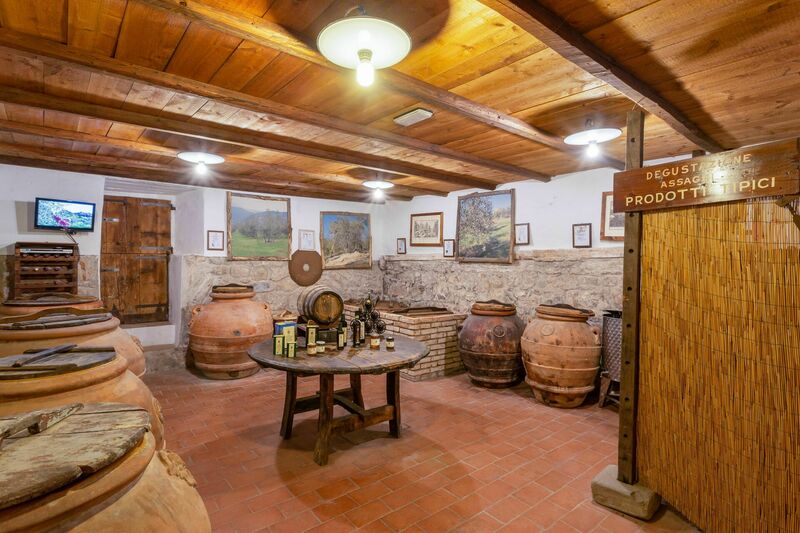 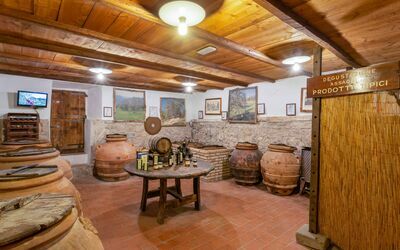 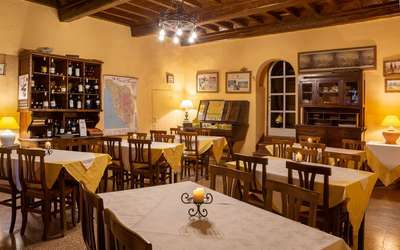 Once a week Villa Grassina organizes guided tours where is the possibility of tasting local products with the Chianti wine. Furthermore the structure sell organic products like olive oil, honey and jams. 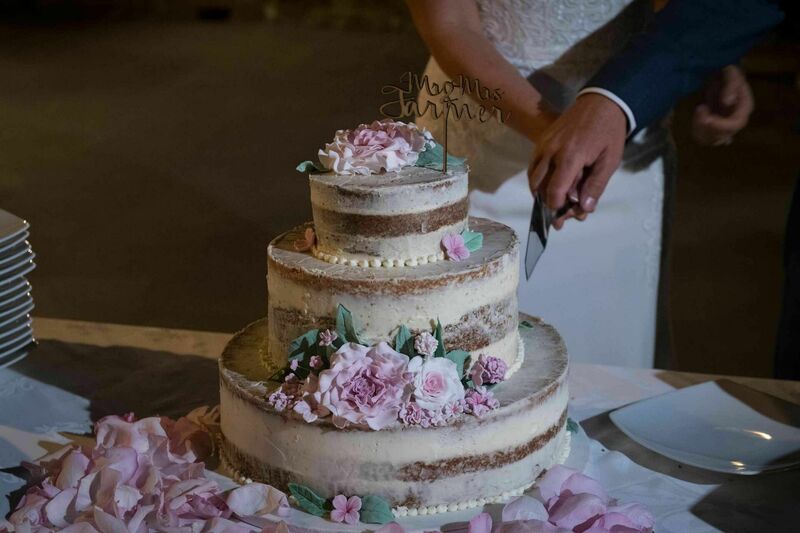 The restaurant of the Villa is available for make the best traditional dishes.